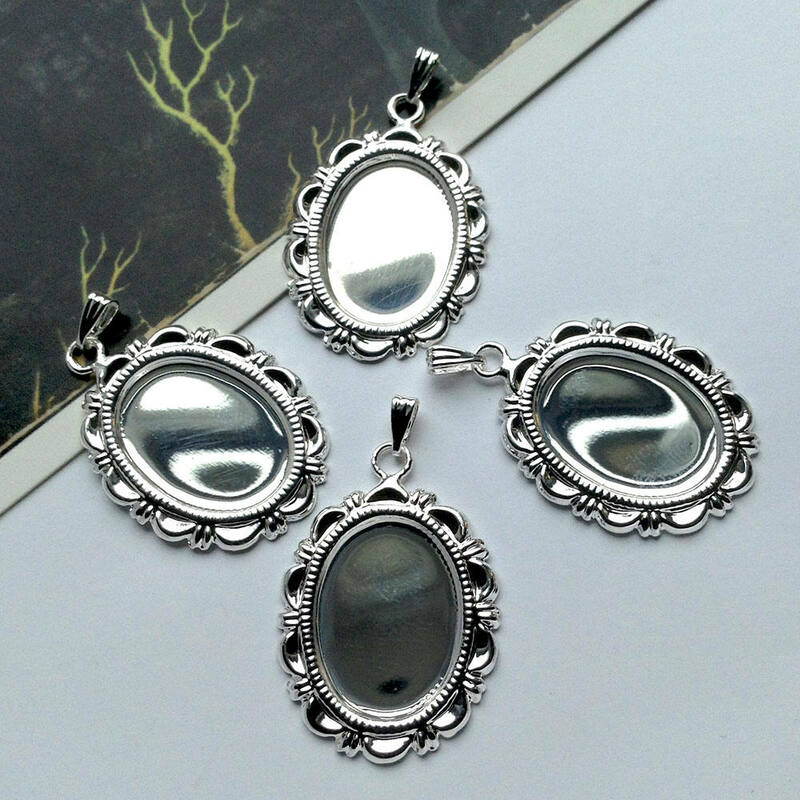 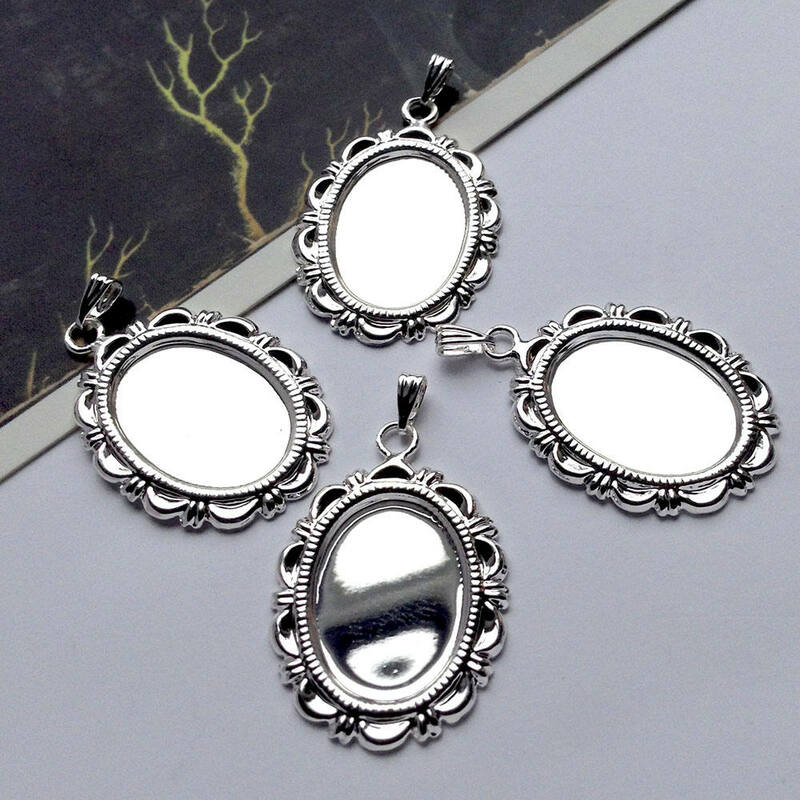 4 Shiny silver plated settings for an 18x13mm flatback cameo or cabochon. 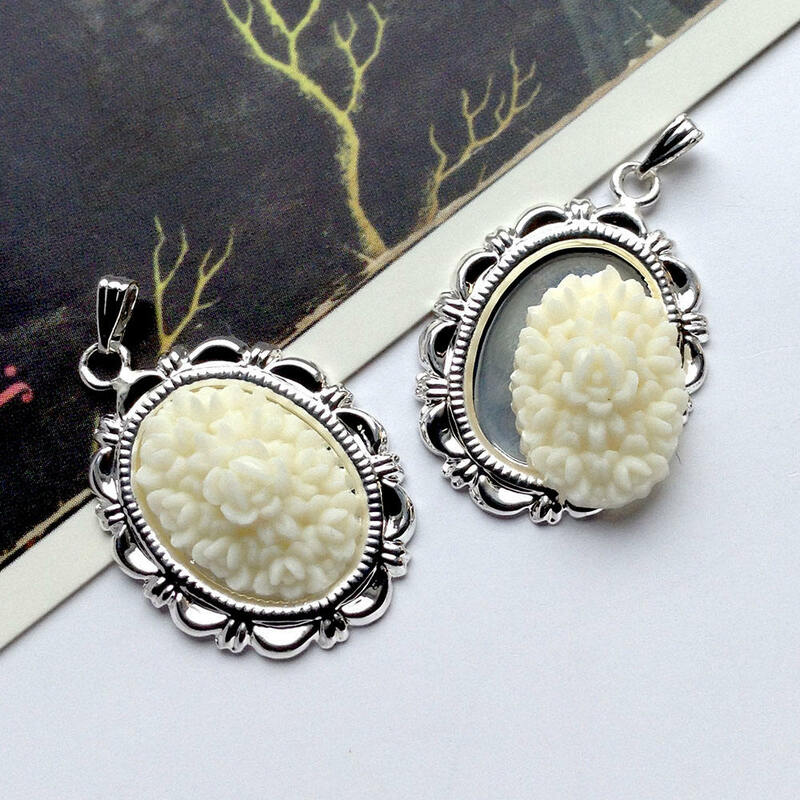 The 3rd photo shows them with cabochons for illustrative purposes. 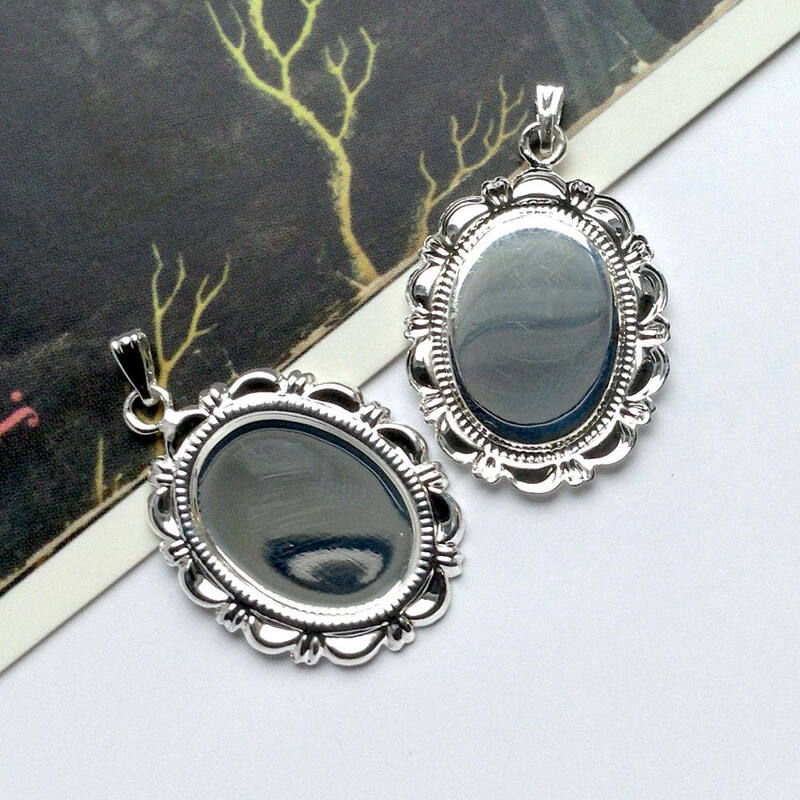 I ship worldwide from the UK and charge a flat rate shipping of £1.50 in the UK and £4 worldwide, meaning no matter how large your order, the shipping cost stays the same.